There are a lot of interesting things happening with Sophos Security Products these days. 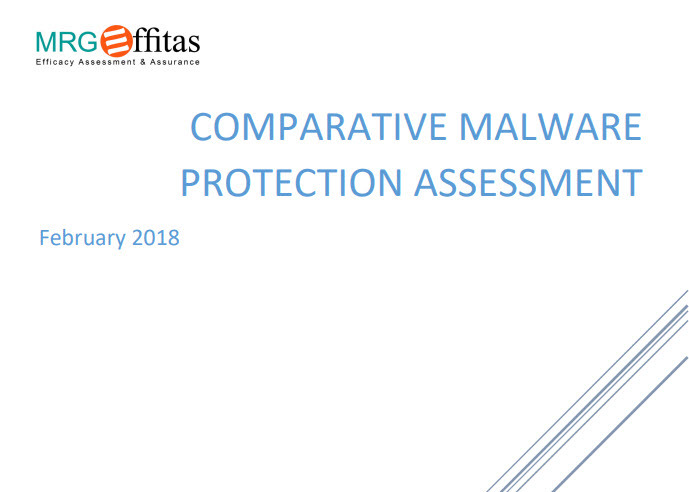 With the recent release of Intercept X with EDR you have even more information for forensic analysis of malware attacks. To get the best results from your installation you need to have a Sophos XG Firewall, Sophos Central Enpoint and Intercept X. Here is a case study some of the improvements in Root Cause Analysis in Intercept X. Another instance where Microsoft has a reported issue with a release that can have devastating results if you update with it. Microsoft is working on a reported problem with their Windows 10 Pro system deactivating their license. Hot on the heels of Sophos Mobile 8, we are pleased to announce that Sophos Mobile 8.1 is now available. New capabilities include support for devices running iOS 11.3, plus management and configuration of Office 365 applications on enrolled iOS and Android devices. The new functionality means that admins can now use Sophos Mobile to manage and configure Office 365 apps on mobile devices. Admins will save time by using a single console, making policy creation and distribution very simple in the Sophos Mobile admin interface. Office 365 app management features are available in both Sophos Central and when installed on premises. Customers will need an Office 365 license, but no other separate Microsoft license is required to enable app management. Sophos Mobile 8.1 is available now for installation on the customer’s own premises with management in Sophos Central following on April 24, 2018. To learn more as well as to find Sophos Mobile sales resources, please visit the Sophos Mobile product page. Over the last six months we have will been working very hard in creating better integration of all our administrative systems. If you have received a recent bill from us you'll see that it has changed from a tool system listing to a single system listing so that you are being billed just from our service management product. The next part of her integration provides automated reporting of all the services that you currently have with us so that with a much quicker turnaround time on audit control of those services being billed to you. By integrating these two parts of our systems reporting, we are insuring a more accurate report to you on what you have been receiving as a service from us. Another change that you will see is that your service billings will be billed separately from your discounted service contract. These are going to be two separate processes and will come to you as separate invoices. If you have quarterly or annual billings those also come under separate invoices as well. This should provide a much simpler method for you to track what services you are being billed for and when to expect the billings to occur. Sophos has released a security update to Sophos Mobile and Sophos Mobile Control installed on premises. Customers running Sophos Mobile managed in Sophos Central or the hosted Sophos Mobile as a Service are not affected by this issue. This update fixes a security bypass bug that could allow an unauthenticated user to access the administration console or the self-service portal. This vulnerability was responsibly disclosed to Sophos on 2018-03-21. We are not aware of any attempts to exploit this bug in the wild. We have assessed this update as critical and therefore advise you to install the update as soon as possible. If you have Sophos Mobile or Sophos Mobile Control version 6.0 or later, please login to the Sophos License Portal, download the security patch for your version and apply immediately. If you have Sophos Mobile Control 5.1 or earlier, you need to upgrade to the current version. For more information please read the article https://community.sophos.com/kb/128031. For more information, please read this knowledge base article on our support site: https://community.sophos.com/kb/131867. Note: We would like to make you aware of a vulnerability affecting Sophos Mobile customers running the product installed on premises. Customers running Sophos Mobile managed in Sophos Central or the hosted Sophos Mobile as a Service are not affected by this issue. We will send the following email to all affected customers indicating any required actions. Please don’t hesitate to reach out to your account or support representative if you have additional questions. I just picked up the 8 inch Lenovo Yoga Tab 3 8 . It is selling right now on Lenovo’s site they are selling for $139.39 and I can’t imagine them being around for long at this price. While is isn’t running the most current version of Android, it does have a lot of features that make it quite desirable. While I wish the screen was larger the 8 inch is bright and the unit feels good in your hand when you hold it especially when you have it in portrait mode. It has a Qualcomm Snapdragon APQ8009 processor, comes with android 5.1 installed, the speaker is quite loud so there isn’t a problem hearing it. The battery life is quite impressive up to 20 hours of usage time. It has a SD Card slot that allows you to expand it up to 128GB’s. There is an 8MP integrated camera, only has 80d.11b/g/n WiFi and Bluetooth 4.0. The unit is very comparable to Amazon Tablets in size and so far as I have seen is working well with of the apps that I have thrown at it. I basically purchased it to replace the TV that I have under the counter in the kitchen, I am thinking that it is going to fail sometime in the near feature and this will be a good replacement for that unit as well as being able to carry it around as desired. So, I have it all set up with my wife’s favorite apps and I hope that she will enjoy it. IF you don’t have Outlook open and you don’t want to wait for it to open up then here is a quick and easy method of gaining access to your calendar information. Windows 10 has added a easy method of checking what you have on your calendar by clicking on the date/time on your task bar. Look on the left had side of the taskbar and you will see something that should like the image below. If you click with the left mouse button on the date/time you will see a pop-up calendar highlighting today’s date with your current appointments listed. See image to the left. When you click on different dates, that date’s appointments will appear in the list at the bottom of the screen. You can use the up and down arrows to change the month. To jump quickly to another month or year click on the Month/Year heading and a pop-up will be displayed for quickly moving to the year and month you want to work in. That displays a list of months for the current year. Use the up and down arrows to change years or click the year heading to jump to a list of all years in the current decade. To quickly jump back to the current date click on the date line above the calendar and below the time display and you will instantly move back to the current date. There was a good turnout yesterday at the Cranberry/Pittsburgh event. Sophos presented a lot of good information to everyone that attended about the state of the Sophos products and the story behind the Synchronized Security Solution. This is a great article from CRN on the new release of the version 17 SFOS operating system. One of Sophos PAC members had quote in it which is sums up the positive direction that Sophos is taking towards their Synchronized Security capabilities for your network. Good job SAM! It is good to get the word out about one of the best good news stories in the security industry and the major reason for looking at Sophos then any other solution. If you are not aware of the Sophos Synchronized Security Story you may want to take a look at the video below. Each new version of SFOS and the Sophos Central Products bring your network more security with each new component that you add to it. Ok, I bit, but I love it! There are quite a few options out there for digitizing your handwritten notes but this seems to be very functional in how I use it. So here is the concept. 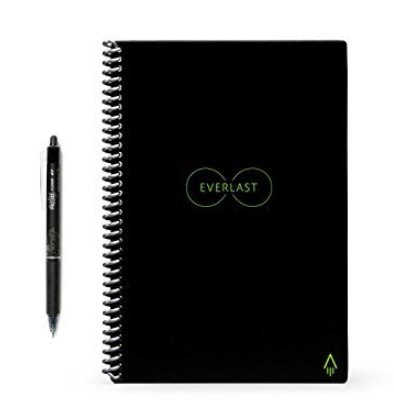 The ring bound notebook contains pages that have a slick surface that allows you write on it with a gel pen (Pilot Frixion) and gives you the ability to erase the ink by using the rubber tip on the top of the pen or taking a wet paper towel and wiping the page clean. This of course makes the pages reusable. Now the how do you digitize it? I use OneNote a lot so you can see that I have mine programmed to post pages to different OneNote notebook locations. Remember that once the images are there, you can move them very easily if you need to. The App currently support Box, Dropbox, Google Drive, Evernote, iCloud, OneNote, Slack, and email. The program supports both PNG and PDF formats. While OneNote has the ability to convert “Ink” to text it does not have the ability to convert these digitized images. This would really be a neat feature if it were available. I just like the thought of the number of trees I will be saving by not using paper anymore for capturing my handwritten notes. I get to keep using my writing skills and extend my ability to capture my thoughts into the applications that I can access from any device. Let me know what you think! So… Microsoft is now using LinkedIn for creating a method of delivering training on their products. I just went through looking at some of the new features in Outlook that were just released and though their notification link it with a tab to access one month of free access to LinkedIn Learning. According to the site they have over 4000 training videos on various subjects (see image below). This is probably a direct off-shoot of LinkedIn’s purchase of Lynda.com. The courses that are available on Lynda are also available on LinkedIn Learning so from that standpoint they are the same. However, the main difference is the platform that the courses are delivered on – LinkedIn Learning is built on the LinkedIn platform which provides the learner with additional value in the form of recommendations that are personalized for you based on your profile, your professional network, the company you work for, etc. There is also better integration on the platform with the content itself so when you learn new skills from taking a course, you have the option to easily add those skills to your profile. LinkedIn Learning is available as a Premium subscription and costs $29.99 a month for a monthly subscription, plus taxes. Annual subscriptions cost $299.88 per year, plus taxes. Learn more about the benefits of a LinkedIn Learning subscription and payment plans. Note: If you have signed up for the one month free trial, your billed subscription will begin automatically at the end of the trial period. Learn more about LinkedIn Premium account free trials.